Stillpoint's Second Chakra blend, Creazione, means creation. This blend was formulated to assist in creating and manifesting in your world. Assists in moving stuck energy so you can create on a grand scale. 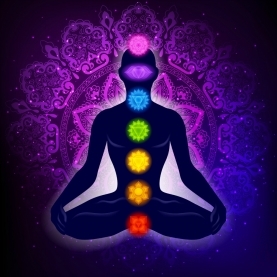 The second Chakra deals with multiole subject areas. It has to do with creation energy, relationships, immune system and sexual energy. It is really the partnership chakra. This chakra is connected to our need for relationsips with other people (not just sexual) and our need to have some control over the dynamics of our physical environment. It is here in the energy of the second chakra that our attention shifts from obeying tribal authority to other relationships that satisfy personal and phsyical needs. This chakra is also known as the Sacral Chakra or Swadhisthana.